Description: COZ100 is a wireless transmission coordinator with the Ethernet interface, whose sensor nodes must consider the actual monitoring environment. ZigBee series is radial network, whose the deployment environment is suitable for wide area. 2.4GHz, Wireless sensor transmission technology. Network Topology can be extended to mesh transmission, suitable for widely regional deployment. Each coordinator receives signals from 65535 nodes at most. 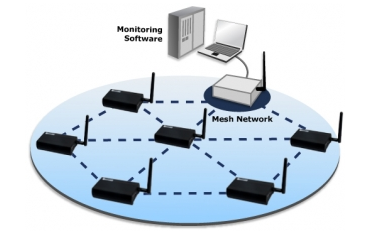 Coordinates communication between distributed WSN measurement nodes and host controller. SensingTEK WSN DataCenter software provides easy network configuration and data extraction. WSN can be imported to the national defense and military, agricultural, fishery and animal husbandry, industrial automation, commercial buildings, health care and other areas of applications. ZigBee Engineering Tool is setting software for all SensingTEK products. DataCenter.Basic is remote monitoring management software for all SensingTEK products.